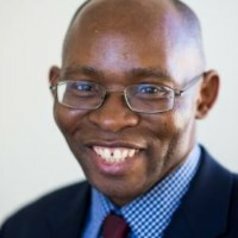 Dr. Oguamanam joined the Faculty of Law (Common Law Section) University of Ottawa as an Associate Professor in July 2011 where he is affiliated with the Centre for Law, Technology and Society. He teaches Contract law, Intellectual Property and Human Rights, Agricultural Knowledge Systems, Biodiversity and Food Security. Before his academic career, Dr. Oguamanam practised intellectual property and corporate law prior to embarking on graduate studies at the University of British Columbia where he obtained his LL.M. and Ph.D. degrees in law. Professor Oguamanam has diverse interdisciplinary research interests in the areas of global knowledge governance in general, especially as manifested in the dynamics of intellectual property and technology law with emphasis on biodiversity, biotechnology, including agricultural biotechnology. He identifies the policy and practical contexts for the exploration of the intersections of knowledge systems, particularly western science and the traditional knowledge of indigenous and local communities within the broader development discourse and paradigm. He is interested in the global institutional and regime dynamics for negotiating access and distributional challenges in regard to the optimisation of benefits of innovation by stakeholders.